Shopping when everything is under $100 doesn't really count, right? Okay, that's definitely wrong, but you know what I mean. What is right is that you feel loads less guilty for purchasing a $60 pair of ankle boots versus a $600 pair. And that's a fact. I'm rambling on about this guilt/non-guilt shopping theory for one reason and one reason alone—Topshop has affordable finds right now that should not be missed. Each ringing in at (you guessed it) less than $100. Should you be in the mood for shopping, and I'm not sure why you would be here if you weren't, we have a lovely menu set for you today, including "heavy petal" dresses, lilac shoes, and cargo pants (a trend to watch). 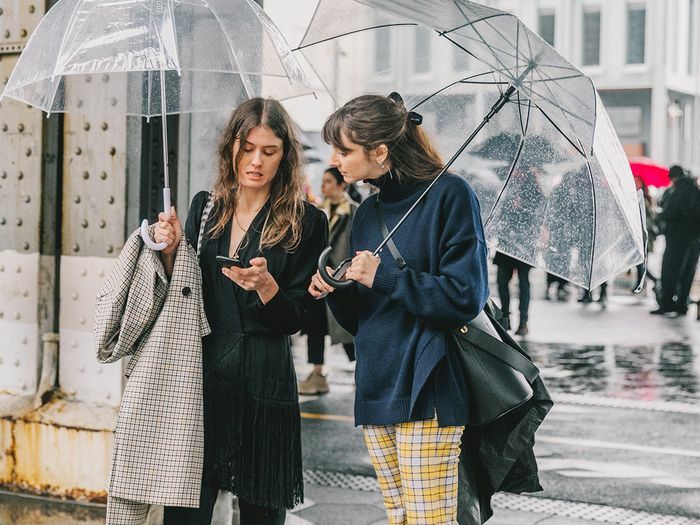 Per usual, we suggest you fill your carts with the brand-new items from Topshop's new arrivals section before the other sneaky shoppers do. Because to deny the sly behavioral patterns of an online shopping addict is to deny wisdom. I think Plato said that somewhere. 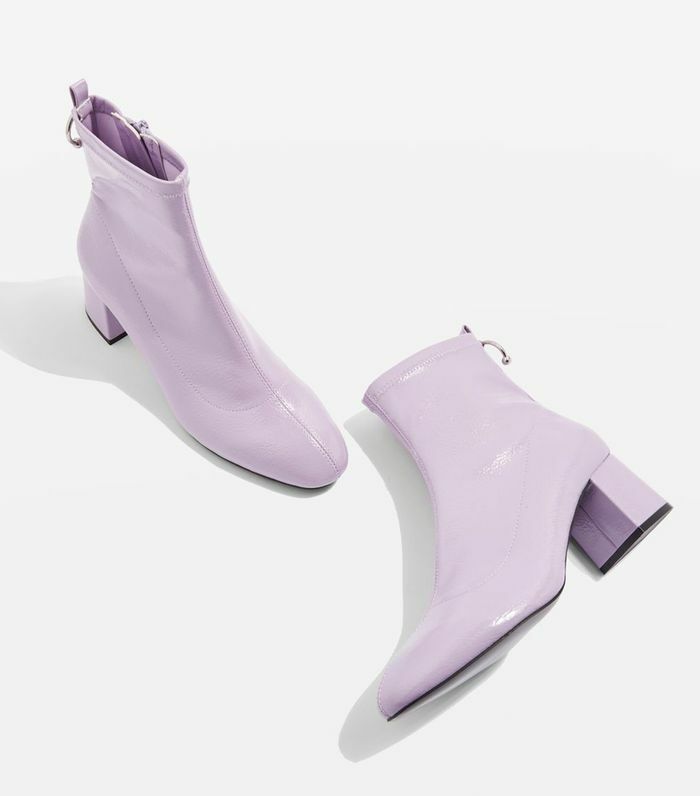 Because having heeled booties in the color of the season is completely necessary. Available in sizes 4.5 to 11.5. This floral dress has a romantic vibe we can't get enough of. The '90s are here to stay, according to these pants. The frilly detailing on this dress is the Western twist you're looking for. The socks your floral dress is missing. Embrace this "heavy petal" trend before it's too late. These contrasting pastel heels are perfect for a modern day at the office. Whether you layer it under a jacket or wear it as is, this piece belongs in your spring wardrobe. Festival season is approaching, and these glasses are a must. Brighten up any casual look with this graphic sweatshirt. You can never have too many denim jackets, and this cropped hem option is no exception. The embellished shoulders make this dress 10 times more elegant. Channel your inner Cher Horowitz with a vibrant plaid kilt skirt like this. This color-blocked sweatshirt is the trendy way to do sporty. A minimal utility backpack to hold all your goodies, whatever they are.